In March 2015, Carnival Corporation signed two memorandums of agreement for nine cruise ships to be built by Fincantieri and Meyer Werft with launch dates between 2019 and 2022. The cruise ships were tipped to end up serving cruise markets in North America and Europe, as well as emerging markets including China. Time to dust off the Pinnacle project? In June, Carnival - the name behind Carnival Cruise Lines, Cunard, P&O Cruises, Costa Cruises, AIDA, Princess Cruises, Holland America Line, Seabourn, and voluntourism arm fathom - placed firm orders for four of those vessels, each likely to cost somewhere between £470 million and £540 million. The ships are dubbed "next-generation ships" and are expected to be the most efficiently designed ships in Carnival Corporation’s history. Meyer Werft will build the four cruise ships, two in their Papenburg shipyard and two in Turku, Finland. 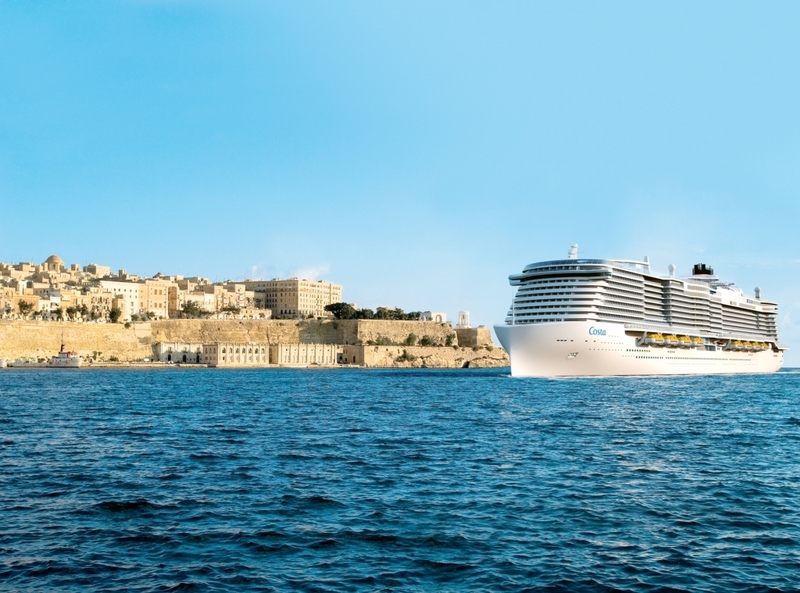 A pair is destined for German cruise line AIDA, while the remaining two will head to Italian line Costa Cruises. Delivery is expected in 2019 and 2020. 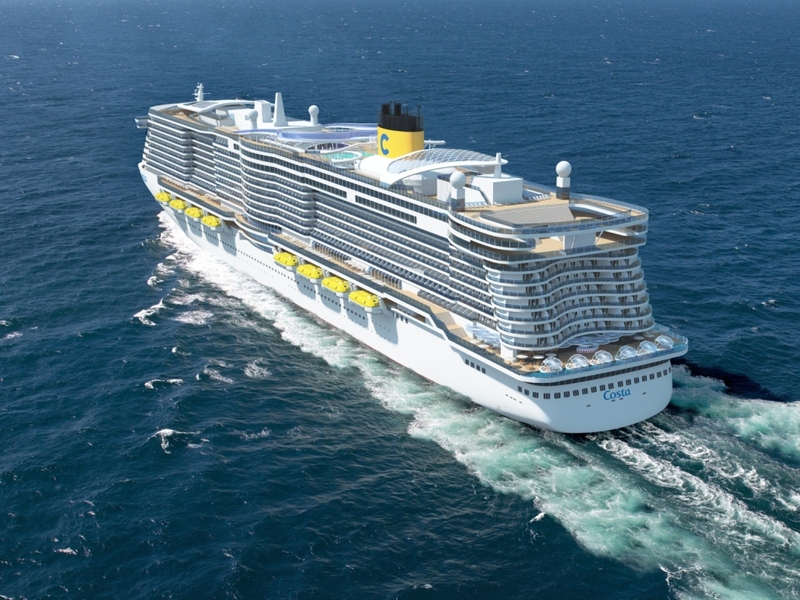 Renderings of the new Costa Cruises ships have a touch of AIDAprima about them - a ship due to launch in October 2015. I imagine the AIDA ships on order will look identical to these Costa Cruises vessels. What is interesting about this announcement is that Carnival claims they will be the "world's largest cruise ship". That's true if you use passenger capacity to rank ships, rather than the more commonly used measure of gross tonnage. The 180,000 gross tonne vessels will typically carry over 5,000 passengers up to a maximum number of 6,600 guests. To put this in perspective, the world's largest cruise ships by gross tonnage are currently Royal Caribbean’s 225,282 gross tonne Allure of the Seas and sister ship Oasis of the Seas. The maximum passenger capacities of these two leviathans are 6,296 guests. Carnival's plan is to cram 300 more passengers into a significantly smaller vessel. They reckon this will be possible through "innovative new ship design" and "more efficient use of the ship’s spaces". Without plans to look at, I suspect this means a lot more (potentially smaller) cabins and fewer or smaller public spaces. If they get this guest-to-space ratio wrong, Carnival could end up with a ship that will likely suffer from a barrage of complaints about queue lengths, disorganisation, and the lack of amenities. If they get the balance right, these ships could become very lucrative vessels. Talking finances, it does look as though the European and Mediterranean markets could easily become saturated soon, potentially prompting fierce price wars. The two Costa Cruises vessels theoretically add 13,200 berths to the cruise market by 2020. Add to this the additional capacity that rival Italian cruise line MSC Cruises will add when it takes delivery of its 5,700-guest MSC Meraviglia in 2017 with a further three Vista-class ships on the cards for 2019, 2020, and 2022. These four ships will add 22,800 berths to the market should the vessels home-port in Europe. Big ships can offer big rewards but only if cruise lines can easily fill them to capacity. Big ships are nothing new, however. Royal Caribbean took a similar risk in 2006 when they placed an order for Oasis of the Seas, then code-named Project Genesis. The size concerned some, and to this day there are still passengers that would never dream of sailing on a ship that could accommodate 6,296 guests. There must be a massive potential market for Carnival to tap for them to place an order like this. Royal Caribbean ordering four Oasis-class vessels demonstrates there must be enough ports that can accept these gargantuan cruise ships and enough demand from passengers who want to experience this unique type of cruise ship. 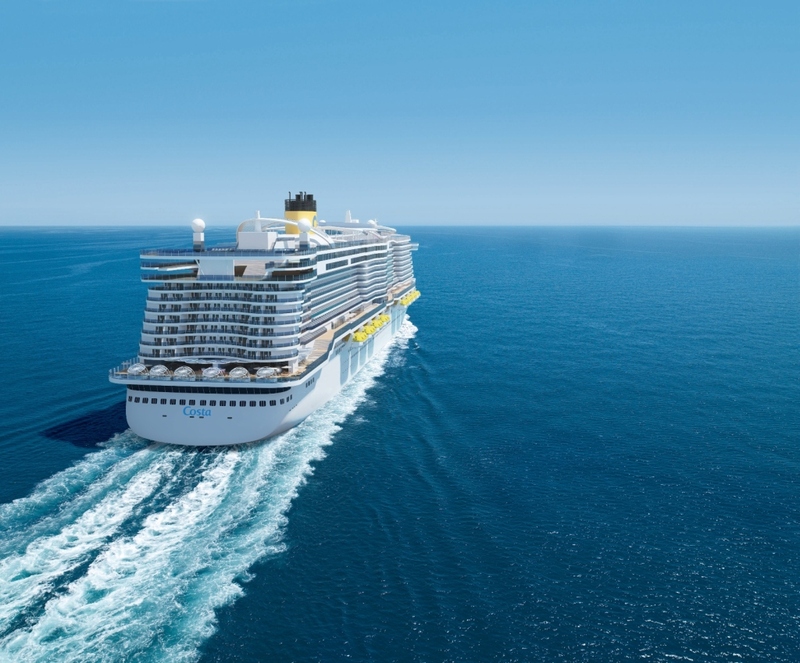 Aside from the headline-grabbing capacity figures, the new vessels Carnival has ordered will also be the first in the cruise industry to be powered at sea by Liquefied Natural Gas (LNG). The new ships will feature dual-powered hybrid engines whereby LNG will be used to generate 100% power at sea. Even though it is still a fossil fuel, LNG is considered to be the world’s cleanest burning fossil fuel. It is expected to eliminate emissions of soot particles and sulphur oxides both in port and at sea. Who knows what will power the cruise ships of the future, but it is reassuring to see cruise lines strive to make their ships as efficient as possible. Their biggest incentive by making vessels environmentally greener is that they should become cheaper (and more profitable) to operate. According to Bright Hub Engineering Oasis of the Seas averages around 0.0023 miles per gallon (12.08 feet per gallon) - approximately 19.36 miles per gallon per person if you factor in passengers and crew. By making the propulsion system just fractionally more efficient could save a considerable amount of fuel and money. Carnival's LNG system could potentially represent quite the cost saving. An announcement about the remaining five ships to be built by Fincantieri in Monfalcone and Marghera, Italy, is likely to follow soon. At this stage it is entirely plausible to think that Carnival's Pinnacle project could be on the verge of resurrection, or at least used to inspire a 'next-next-generation' cruise ship. This secretive project was originally tabled in 2004 with the aim to create the world's biggest cruise ship, suggesting a prototype vessel in the region of 200,000 gross tons. The project was shelved when the Dollar to Euro exchange rate was poor so the ship never saw the light of day. A video about the project from Fincantieri can be seen below. Skip the first 30 seconds or so and you will see the rendering of this mammoth cruise ship. The most noticeable aspect of the Pinnacle project ship is that it would have instantly killed off the age-old joke "does this lift go to the front of the ship?" which would have been a great achievement! In the video above passenger transport pods can be seen ferrying passengers along the outer decks. At one point mid-ship, the pod transforms into a traditional vertical lift between the lower and upper deck. Once it arrives at the top deck, it turns into a monorail that runs along the upper part of the ship. The monorail looks like it would have been able to offer fantastic views out to see and would have undoubtedly become an attraction in its own right. As the track looks like it would have run above the cabin balconies, it might have proved to be a nuisance if you were banking on some quiet relaxation time on your not-so-private balcony. I do like the concept and wonder if a version of this could become a reality in the not too distant future? As cruise ships become longer and wider, passenger transport from front to back might become more of a necessity than a luxury. Other features of this ship would have included a swimming pool area with a retractable roof, a lazy river style pool using rubber inner tubes, palm trees, a rock climbing wall and water slides. The massive funnel sets the ship apart from others albeit at the cost of a lot of deck space. Design-wise, the front of the vessel looks like it would have taken a bit of time to get used to and the aft of the ship reminds me a little of Royal Caribbean's Oasis-class and a little of MSC Cruises' Seaside-class. Hopefully, an announcement about the remaining five ships will follow soon, along with some deck plans so we can finally see what to expect to these new vessels. Is LNG power the future of cruise ship propulsion, or should cruise lines be looking at alternative technologies? Have your say in the comments section below.